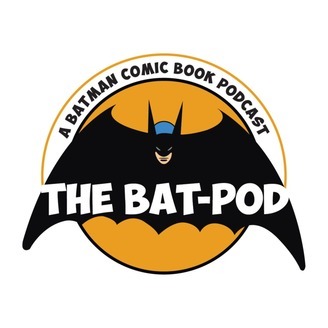 The Bat-Pod is a Batman comic book podcast, discussing Batman &amp; Detective comics and much more. Also includes character spotlights, topic of the week and stump the co-host. Don't You Follow The Rules? 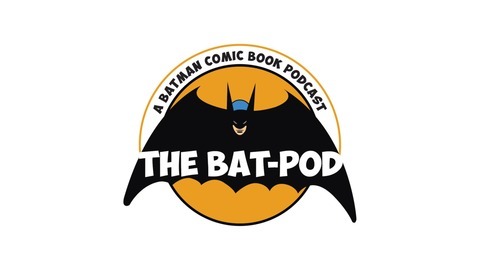 In this fun filled Episode Bill and Joey discuss Batman #68, Grim Knight #1, Detective #1001, The guys invite Ronnie from Absolute DC Podcast, and Aftershock Central for this weeks Topic Of The Week (Top 3 Favorite Covers) Joey can't seem to follow the rules. Stump The Co-Host(Elseworlds).Who's gonna clean up the mess left in the Fortress Of Solitude?? That's what i wanna Know! Enter The Bat-Pod's Batman's 80th Anniversary Giveaway! Call The Bat-Phone and tell us what Batman's 80th Anniversary means to you! over 200 pages of Batman and Detective's bests covers. Twitter: @podbatYou can support this show by visiting our merch store, or by leaving us an Apple Podcasts review.